How many times have you seen a great furniture item on the web or in store, only to be told that delivery will take 6 weeks or more? At Furniture 123 the waiting is over as we have more than 650 of our best selling products available for delivery the very next day. What’s more this service does not cost any extra so delivery is still free on everything! The next day delivery store covers all areas of the home: from beds and dining sets to complete furniture packages and suites. 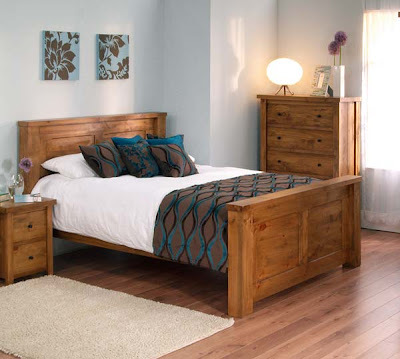 The Carolina Pine bedroom range is at the peak of traditional furniture design. Crafted from the finest pine and designed with an aesthetic that lends itself to most décors, the pieces in this collection are warm and inviting, ensuring the perfect homely feel with minimum design fuss. The Carolina Pine Bed will quickly become a treasured bedroom addition. Its matching head and foot ends boast simple panel detail, while the chunky design of the overall bed mean it is a centrepiece worthy of any bedroom. The perfect antidote to bland metallic furniture, the Iyon Oak range fuses clean, simple lines with the inviting natural tones of solid knotty American oak to produce pieces of furniture that will add instant character to any room. 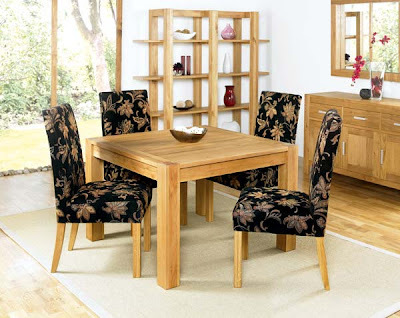 Practical, stylish and finished with warm oak veneers, this stunning dining set is ideal for those wanting a smaller dining surface without sacrificing the style or impact of a larger table. Its striking angles and bold lines typify the Iyon Oak range, while the accompanying chairs will bring a touch of homely warmth to any dining space. 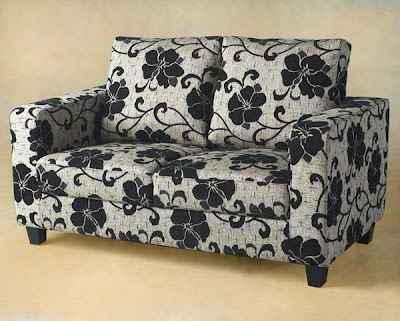 This top selling sofa is comfortable, practical and stylish. The Tempo Two Seater Sofa has angular lines to give your living room a touch of contemporary style, whilst its warm floral print creates a cosy, homely atmosphere. This lovely sofa will make a great addition to your living room furniture, and works well in any sun spot in the home, as a comfy place to sit and read your latest book. At the UK’s largest online-only furniture retailer you will find a fantastic selection of items for every room in the house, as well as the garden, all accessible from the comfort of your own home. Furniture123.co.uk offers free delivery on all items to mainland UK. The 7 day money-back guarantee ensures that customers are able to receive a full refund if they are unhappy with their purchase. Visit our blog and subscribe to the RSS feed to receive all our latest news and press releases Pin It Now!